"Nothing compares to the feel of Mizuno irons", said every golfer who has ever hit Mizuno irons. I have played Mizuno MP68 irons for 8 years, so I am one of those people. Which is why I was thrilled to have the opportunity to take full sets of Mizuno JPX 919 irons out to the course for some extended on-course testing. Before we get to how the irons played, I’d like to go through some of the history and technology that makes up the Mizuno JPX 919 irons. In 2002, Mizuno introduced the newly branded MP line of Players irons. Ever since, the MP line has stood as the gold standard in Players irons. The current iteration is the MP-18 lineup that features the MP-18, MP-18 SC and MP-18 MMC iron sets. The MX line, a more technology driven line of irons was also introduced in 2002, but that line was later replaced by the JPX line in 2011. 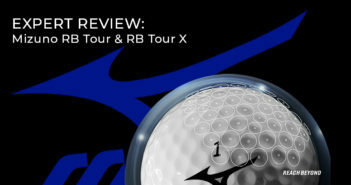 The all new Mizuno JPX 919 lineup of irons features three models, the Tour, Forged and Hot Metal. 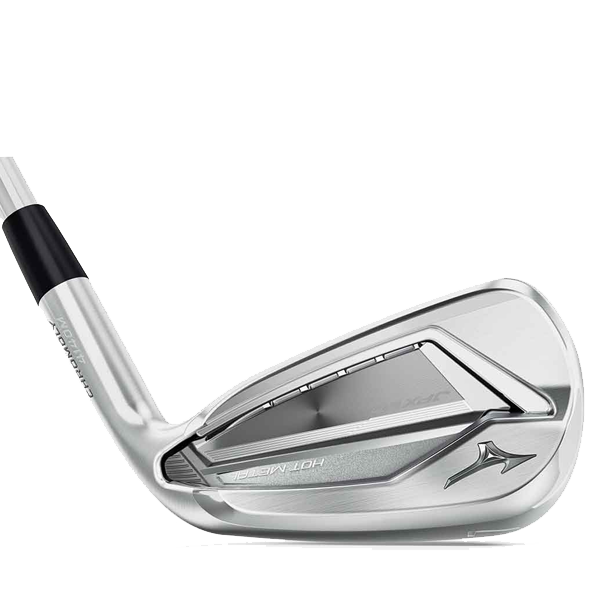 The Mizuno JPX 919 lineup is built around the Stability Frame. A cavity back design where the heel is opened to optimize weight in the toe and perimeter, the JPX 919 irons have more forgiveness than the MP-18 irons. 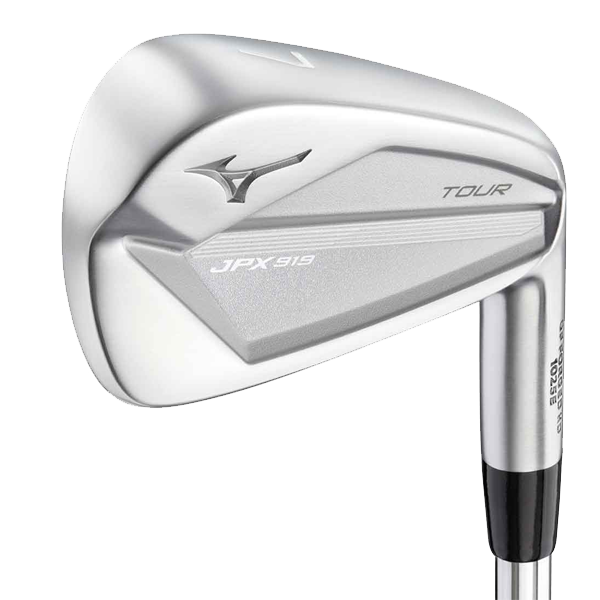 In contrast to the MP line of irons, the JPX line is traditionally a technology-driven club. There is a JPX 919 option for players of all abilities. The Tour version, played by 3-time major winner Brooks Koepka, is for strong, low handicap players looking for a tighter dispersion from a true players iron. Minimal offset and a Tour-inspired top line puts these irons at the top of the class. The Forged head is the most versatile version and with the added forgiveness from the floating badge on the back will fit the largest range of players. Better players can benefit from combining the Tour short irons with the Forged long irons. The Hot Metal irons can be played by players ranging from around a 10 handicap all the way up to a 36 handicap. 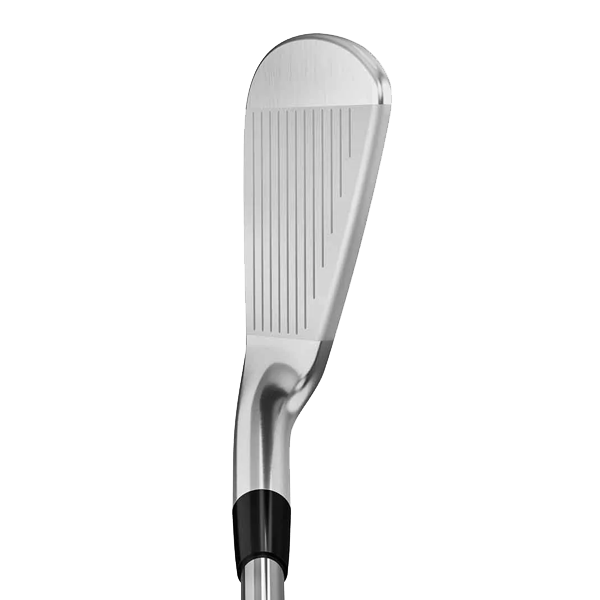 It has the most offset and is designed to provide ultimate forgiveness and consistent ball speeds across the face. 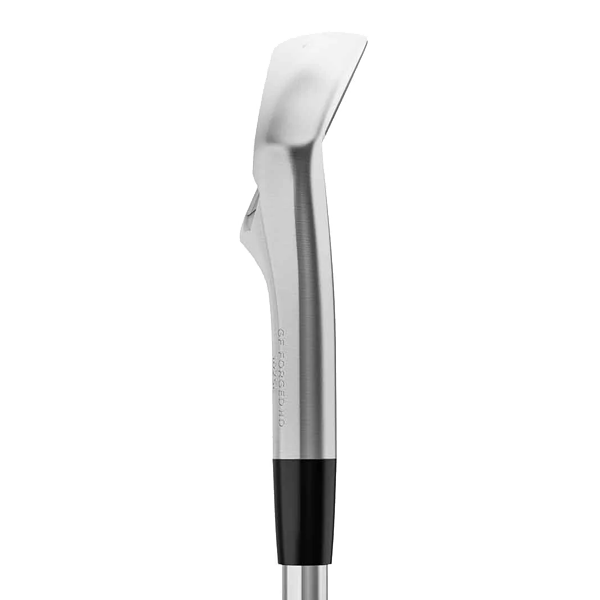 The Tour heads are Grain Flow Forged HD from a single billet of 1025 Pure Select mild carbon steel and the Forged heads are also Grain Flow Forged HD from a single billet of 1025 Boron steel. The JPX 919 Hot Metal irons are made from a Chromoly 4140M, picked for its high strength to weight ratio and its malleability. 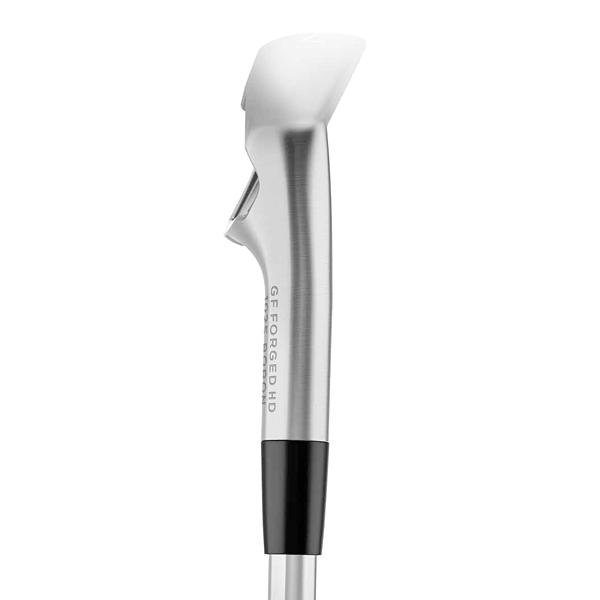 A flexible metal allows for a thin, high strength club face, but also a bendable hosel designed for fitting. All companies forge irons, so what’s so special about Mizuno’s forging process you ask? Well, their engineers devised a way to make the bottom of the club head denser than the top line. 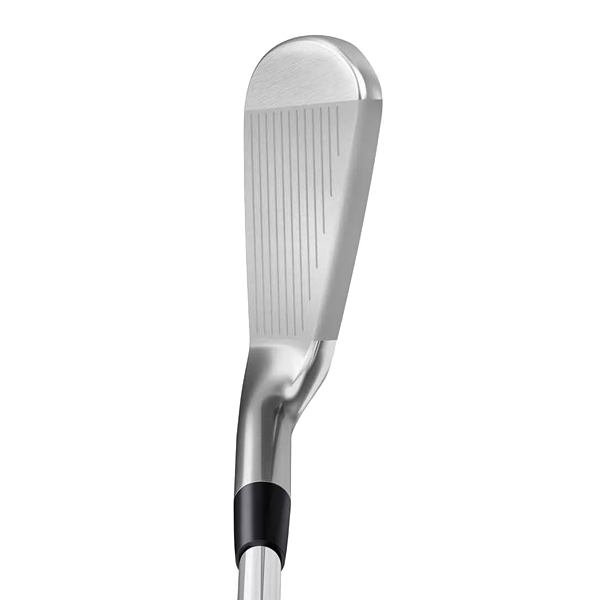 In basic terms, this means the metal is more compact near the sole of the club than the top. 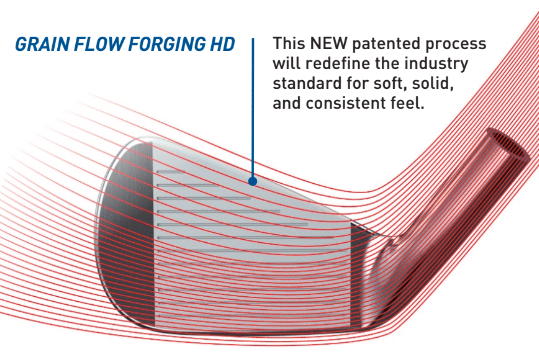 This forging process increases the density of the metal lower in the head for enhanced feel and playability. I decided to spend the on-course time focusing on the Tour and Forged heads. These are the two sets that fit my game best. 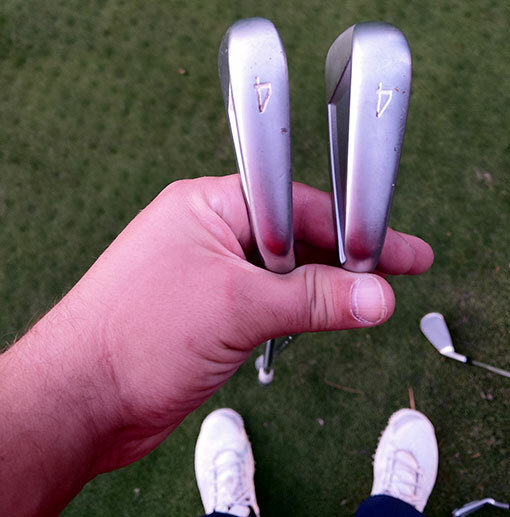 The shafts on the JPX 919 Hot Metal irons were way too light for me, so I decided the best option was to hit a few shots at the range with the Hot Metal set to get an understanding of how they felt and look. The first round I played, I packed both the Tour and the Forged heads into my bag and played 9 holes with each. On the front nine I played the Tour version and on the back nine I played the Forged version. 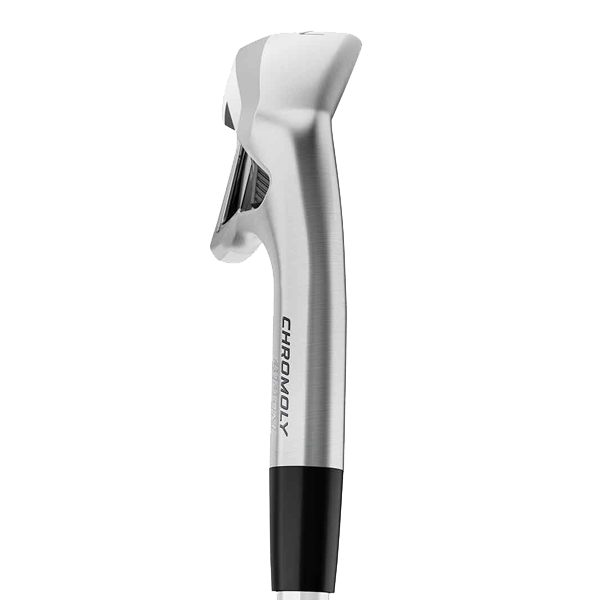 Right off the bat, I really like the way the Tour irons felt in my hands, it has a very balanced feeling to it and a true, thin top line. I felt a little more weight lower in the clubface when the club hung above the ground which gave these irons a solid feel. 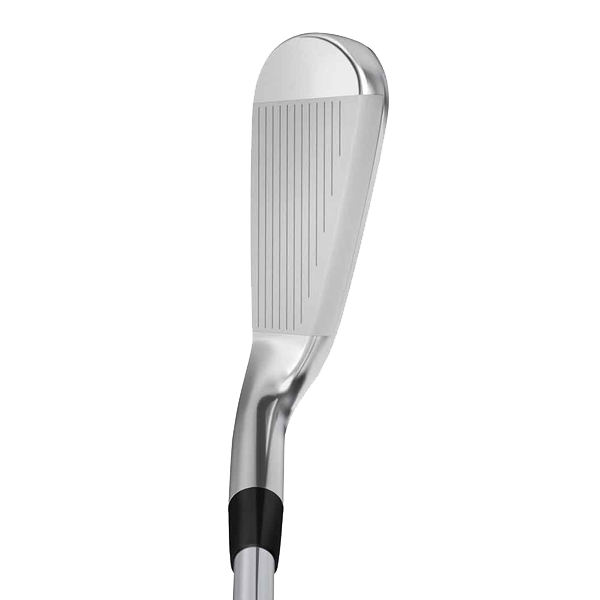 Compared to the JPX 900 irons, I like the styling and design of the JPX 919 more. The low-glare Pearl Satin finish is pleasing to look at, the lines are clean, and the open heel construction has a cool and confidence building look to it. Jumping on an earlier tee time, it took me a few holes to get completely into my groove with the JPX 919 Tour irons, but once I did I absolutely love them. The turf interaction is incredible! Mizuno has done a really good job beveling the edges to create a superior turf interaction. The major thing I noticed was how straight the JPX 919 Tour irons ball flight was for a Players iron, there was very little movement left or right. I also found that even if I missed the center a little bit, the ball still jumped off the face with clean contact and carried virtually the same distance as a perfectly struck shot. On the back nine I played with the JPX 919 Forged heads and felt comfortable with these irons right away. They performed wonderfully, and while the shafts I had were a little too light for me and had a few shots balloon, once again I really liked the turf interaction. The ball came off the clubface hot and flew straight. The footprint of the JPX 919 Forged heads isn’t too much larger than the Tour heads and most of the added bulk to the Stability Frame is still hidden by the thin top line at address. For someone who has played with a blade for the last 8 years I didn’t mind the extra bit of forgiveness from the increased cavity and thinned face. In terms of feel and sound they weren’t quite as smooth and crisp as the Tour heads, but they still rank as some of the best feeling cavity back irons I’ve hit. The next day I decided to give the Tour heads another shot and I’m glad I did! Playing just one set of irons versus switching sets at the turn gave me a chance to focus on simply playing the game as versus the testing itself. Right from the get-go I was on fire. I ran together a string of 4 birdies in a row in the middle of the front nine, taking dead aim at any and all pin locations. I missed an ace by no more than a foot on a 195-yard par 3, I was fully dialed in. Having only played with the Tour heads for 9 holes, I was astonished at the level of confidence I had already gained with them. It got to the point during the middle of my round where I would walk up to my ball, look at the target, address the ball and swing. I knew exactly where these shots were going, every time. The ball flight was right on point and while the standard shots stayed on a rope, if I really needed to turn the ball one way or the other I had no issue doing so. The only difference is that the movement was more controlled than with my MP blades. The Stability Frame gives these irons a stable feeling and one that seems to promote a repeatable swing. At the end of this round I took a look at my score card and saw I had shot one of the best rounds of my season. I attribute that score to the fact that the Mizuno JPX 919 Tour irons minimized the damage of my bad miss, which is a snap hook. After the second round I went to the range to hit the Forged irons a little bit more and get a feel for the JPX 919 Hot Metal irons. Both of these versions have stronger lofts than the traditional-lofted Tour heads, so I wasn’t surprised to see the ball really jump off the face of the JPX 919 Forged irons at the range. 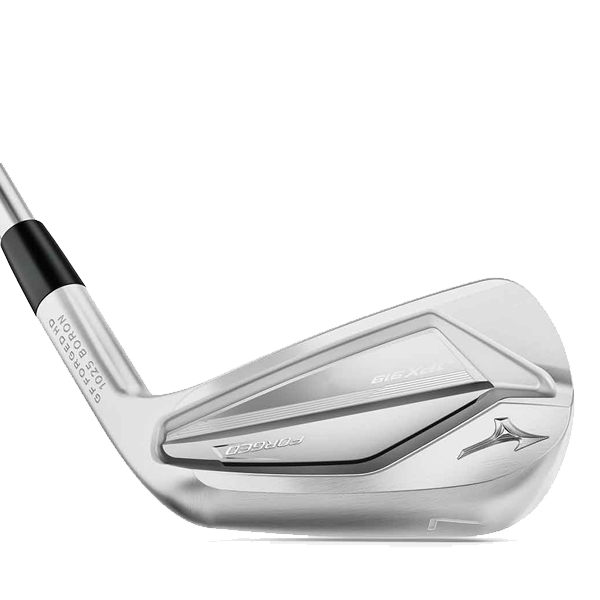 The utilization of the 1025 Boron metal allowed Mizuno to CNC mill out the back of the face higher up on the clubface to produce a thinner section with more spring to it. The Hot Metal irons are as advertised, the ball definitely jumps off the face. 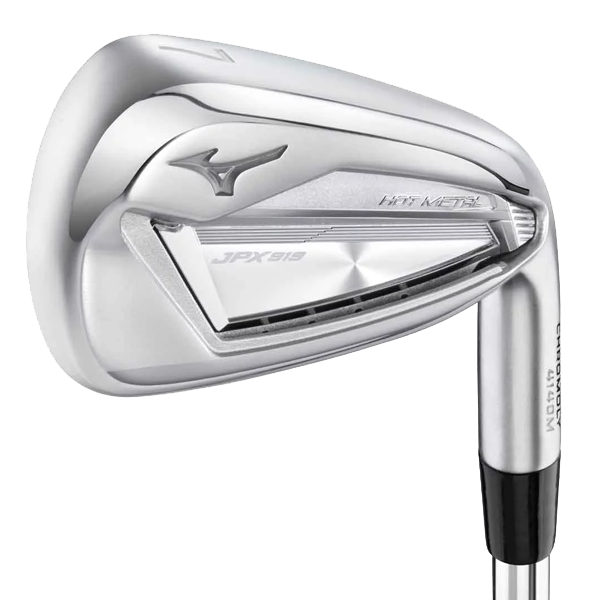 The thing I was most impressed about with the Hot Metal irons was the amount of detail Mizuno put into them. 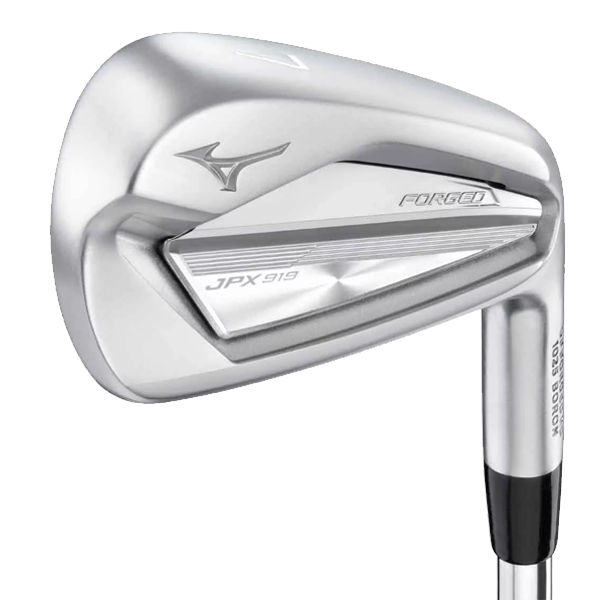 Despite the incredible technology packed into the Mizuno JPX 919 Hot Metal irons, Mizuno managed to keep the impressive looks consistent from the Tour version through Hot Metal version. It was nice to see the beveled leading and trailing edges on this true game-improvement iron. 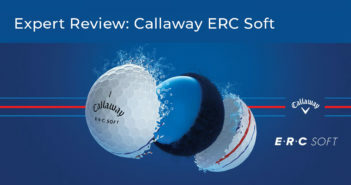 This design feature will assist players with striking inconsistencies to experience better turf interaction, which will lead to better ball striking. The final bit of my testing took me over to Pro Golf Discount in Bellevue, Washington, where I pit the JPX 919 Tour head against the MP-18 SC head. 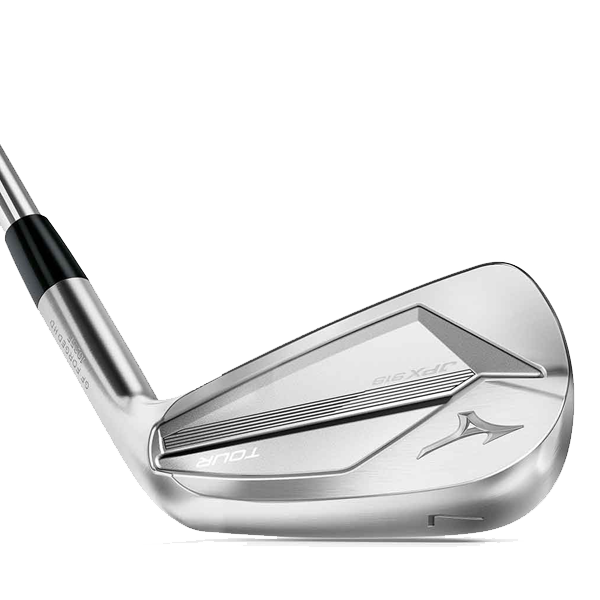 Mizuno used 6-irons as their demo club through the MP-18 lineup, but decided to update to the industry standard 7-iron with the JPX 919 lineup. While I wasn’t able to get a perfect apples to apples comparison, I was able to gather some valuable data. Based on the data, the Mizuno JPX 919 irons are just a touch shorter than the MP18 irons simply due to the cavity back, but the major stand out from the numbers was the right to left dispersion. The JPX 919 almost halved the right/left offline average, which is a pretty significant finding. I would happily sacrifice 2 to 3 yards to gain that kind of narrowing of offline dispersion. The JPX 919 irons may come from a line of game improvement clubs, but through my testing I found there is a JPX 919 set for all players, from beginning amateurs to a PGA Tour major winning champion. Put simply, these things flat outperform. The look of the satin finish is incredible, the redesigned back-end is modern, and looking at address, the JPX 919 irons make me want to pull the trigger and hit it close every single time. Mizuno’s quality of craftsmanship continually sits atop the industry and seems on another level from the other manufacturers. Mizuno irons are clean, they are classic and are built from the finest metals. Yet strangely, when I look around the bags at my local courses, I see a lot of TaylorMade and Titleist and Callaway irons, but only a few sets of Mizunos. Whether that’s due to strong marketing from the major manufacturers or golfers simply wanting to play the same brand as their favorite pro on Tour, it’s tough to say. In either case, take this reviewer’s advice and next time you see a Mizuno demo day or test irons at a shop, add Mizuno to your list. Experience what their irons are all about, you won’t be disappointed! I currently use the JPX 850 forged irons(5-PW) which are 4 years old, pairing them with Adams hybrids with slot on the top. when gapping the 850 irons properly(I hope) I find that the 5 and 6 fly lower than I feel they should vs. the 7. because I am 70 and driver clubhead speed is down to 90-95 I wouldn’t mind hitting each iron 5 yards longer. Do you have any knowledge about how the 919 forged would compare in carry, stopping ability and forgiveness vs. my 850″s? Also, I wonder if I might benefit from going to 919 hot metal for 5 and 6. Would most of us be able to adjust to the thicker top edge and the greater offset in the hot metals as only part of the set? Further, might I have difficulty gapping properly going from 6 in hot metal to the 7 in forged? Finally, I wonder about just going to hot metal entirely but fear that the lower lofts might make it too difficult to stop balls on the green. Thanks for reaching out and great questions! 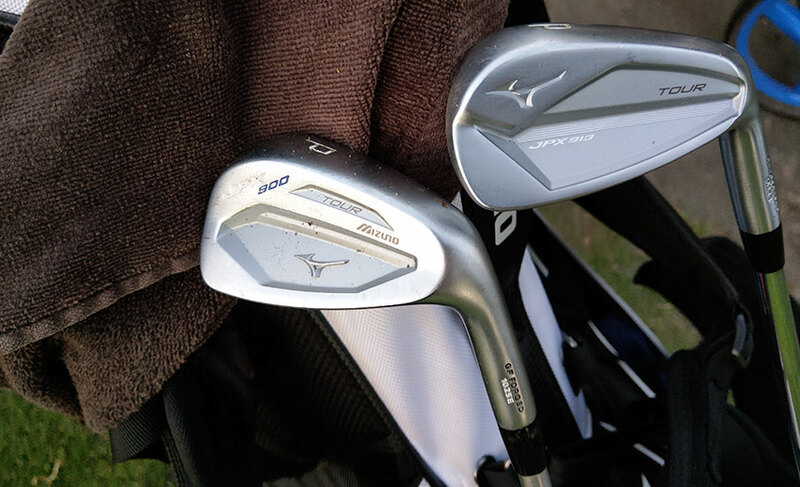 I spoke with one of our staff members who has gone through extensive Mizuno fitting training, and he told me that it is very common for players to mix and match clubs within both the JPX and MP lineups (separately). Mizuno designed these lineups with that intention in mind. A lot of players will make the split after the 7 iron, but he said there is no issue going with the 5 and 6 in the Hot Metal and the 7-PW in the Forged. The hitting areas of both irons are the same, so looking at the face there will be no visual difference. It will really all come down to preference of appearance and feel. The 919 Forged heads are made with the same 1025 Boron Carbon Steel that the JPX 850 Forged Irons used, but advancements in the CNC-milled cavity, the floating badge and the HD Grain Flow Forged process are all designed to increase playability and feel in the 919 Forged irons. Through my testing, I can attest to the added forgiveness the open heel design provides (compared to most irons I’ve tested in this category this year). You’ll have no problem stopping these irons like your current 850s, and the fresh grooves will only give you some added zip. Interestingly, his advice with irons is to focus on descent angle moreso than spin rate. So, when thinking about shaft options (which will greatly affect trajectory) his recommendations mirrored my own. You may want to give the Nippon Modus Tour 105 and Project X LZ 95 shafts a try. Both shafts will promote a higher trajectory/ball flight. I also stopped by my usual testing spot and hit the JPX 919 Forged 7-Iron and Hot Metal 7-Iron with a launch monitor using the same shaft (Project X 6.0) to see if there was much variation in distance or descent angle averages. Despite the difference in loft angle (HM 30°/Forged 32°), the average ball speeds, carry distances and descent angles were almost identical Hot Metal: 125.06/180.46/49.22° Forged: 124.8/179.2/49.9°. In general, I think if you’re used to forged irons, you’ll probably find you prefer the feeling of the Forged heads to the Hot Metals. So, if you don’t feel you need the added forgiveness built into the Hot Metal irons or dislike the thicker topline, you’ll do fine sticking with the 5-PW set of JPX 919 Forged irons. I hope this helps and feel free to reach out with any other questions you have. If you’d like to place an order, you can build custom sets with all your specs through our product pages online or give our customer service reps a call who can place an order for you over the phone.